It’s Sunday – I have nowhere to be, the house all to myself, and a proposal about my research study just waiting to be written. Seems like the perfect situation to get some work done. Yeah, that lasted MAYBE an hour. It is beautiful outside, so I of course feel guilty spending time indoors. Commence trip to the grocery store with the windows down in the mini followed by a walk to the coffee shop. Still not really feeling the whole study proposal, especially since I have questions that I need answered before I make any more progress (excuses). 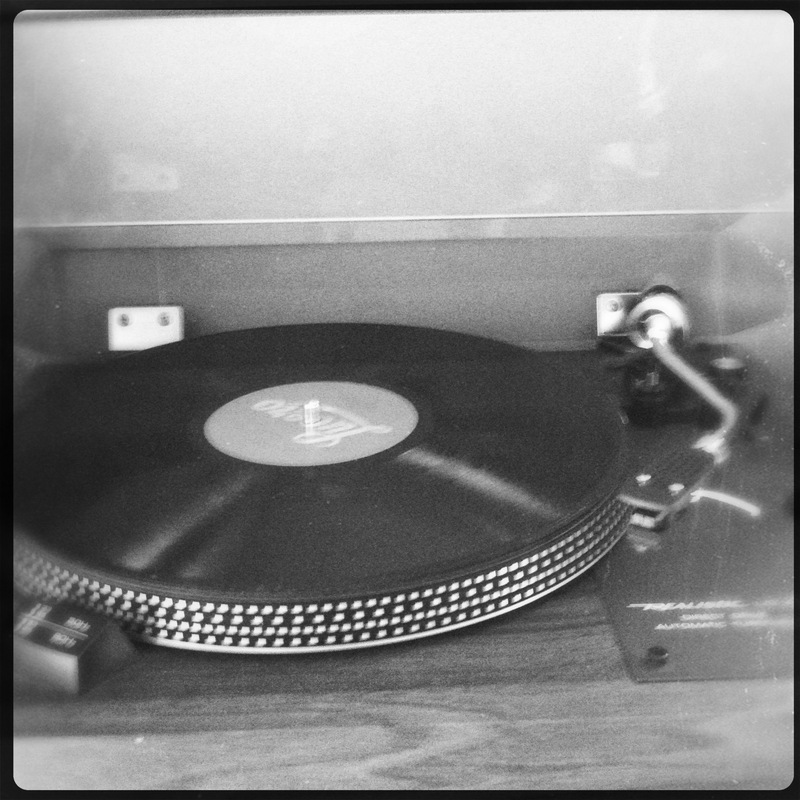 So, obviously it is time to blast some records and cook some food! 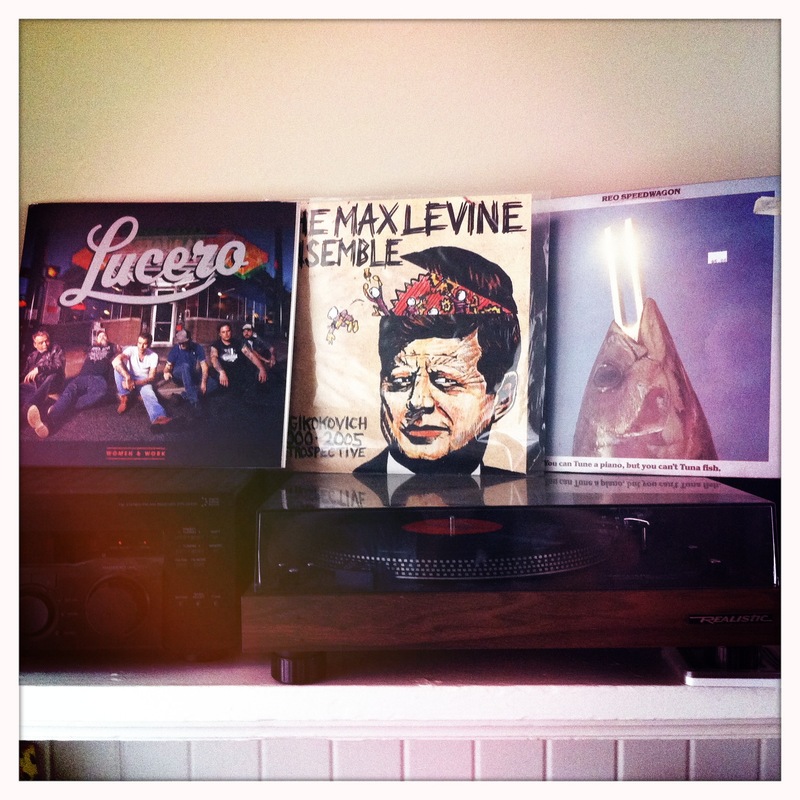 My dad kindly gave me his old record player and I don’t take advantage of it nearly as much as I should. With Lucero as my background music (kinda in an obsessive Lucero phase…this phase has lasted upwards of 2 years so I don’t know if it is fair to call it a phase anymore…), I finally made some Crispy Roasted Chickpeas, which I have read about on numerous blogs (For more recipes and ideas, please see http://steamykitchen.com/10725-crispy-roasted-chickpeas-garbanzo-beans.html). I will admit that the process of peeling the skin from the chickpea was tedious and annoying to me, but I am not the most patient person. 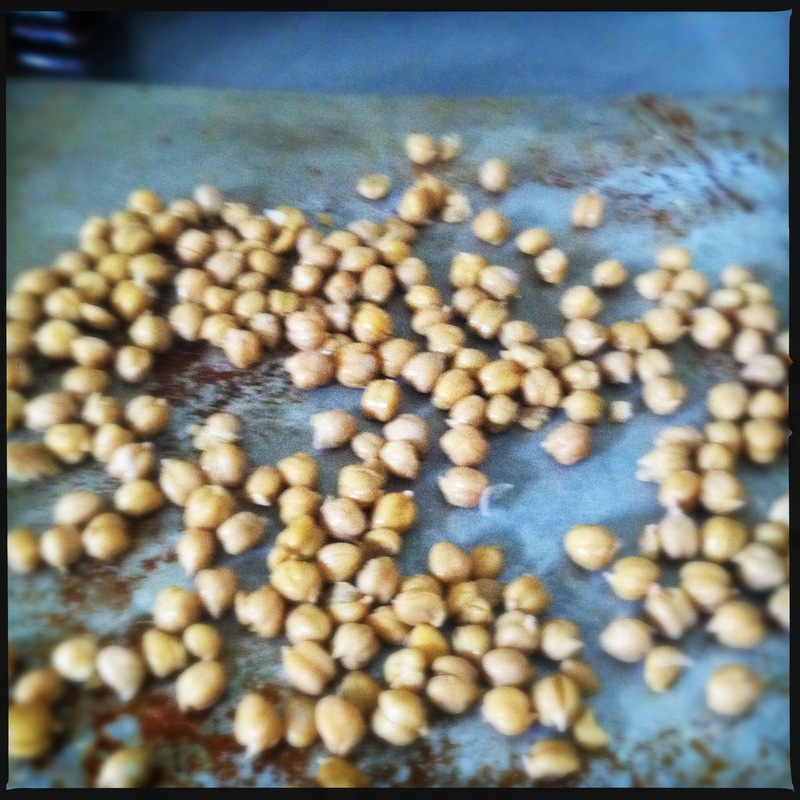 I think it would have gone better if I did a better job of drying the chickpeas with the paper towels…next time. Everything else about this was super simple though! Pre-heat the oven to 400 degrees. 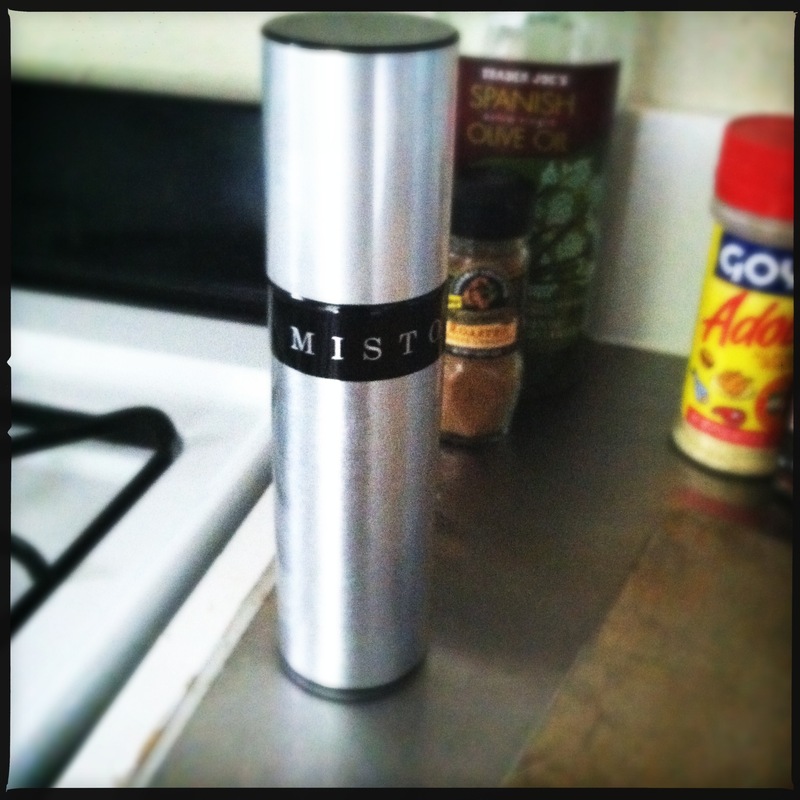 Empty can of chickpeas in a strainer and rinse with water for a few seconds. 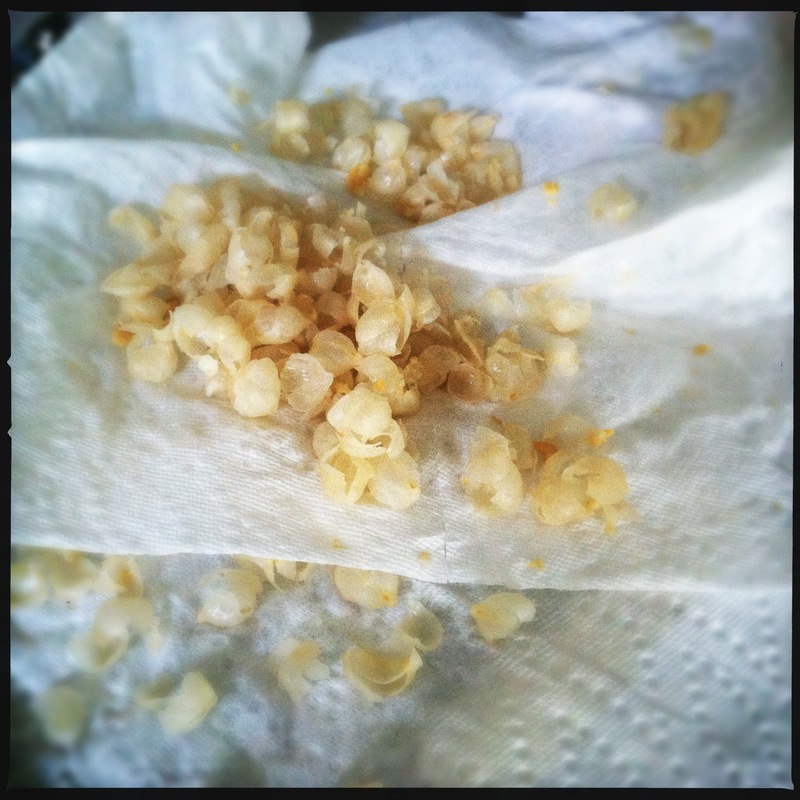 Once all of the chickpea goop is successfully washed away, lay chickpeas out on a paper towel. 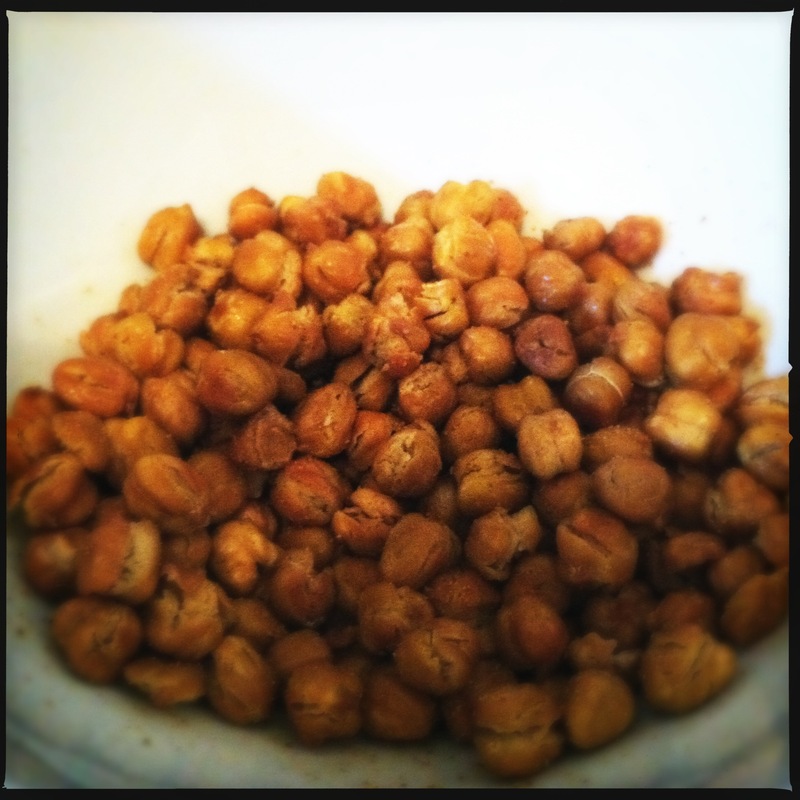 Use another paper towel to dry the chickpeas (preferably more thoroughly than I did!) and remove the skins from the beans. Drizzle or spray the chickpeas with olive oil and roast in the oven for 30-40 minutes (or until the beans are golden in color and crispy). 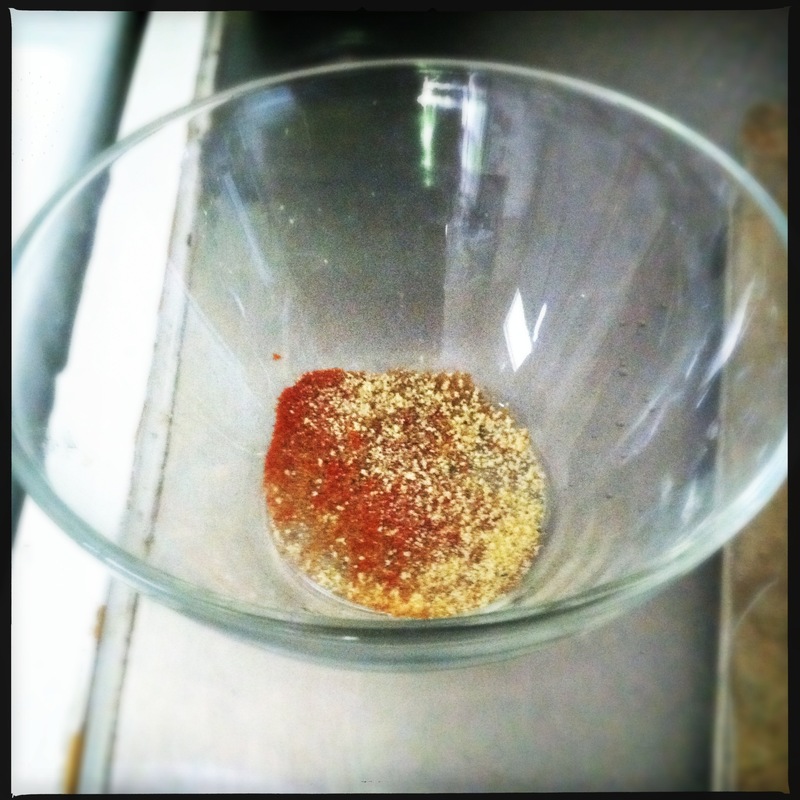 While the chickpeas are cooking, create spice blend. I didn’t really measure, just threw a few dashes of the Goya, cumin, coriander, and a smaller pinch of cayenne in a bowl and mixed. Once the chickpeas are done, sprinkle with the seasoning blend and eat. Although in my case, things went a little differently: I made a deal with myself – I won’t try one of these tasty little guys until I finish reading about cluster analysis for my thesis. How’s that for some contingent reinforcement?! So, unfortunately I cannot speak to how delicious or awful these crispy chickpeas turned out – but keep posted – my house smells amazing so I am motivated to read quickly! 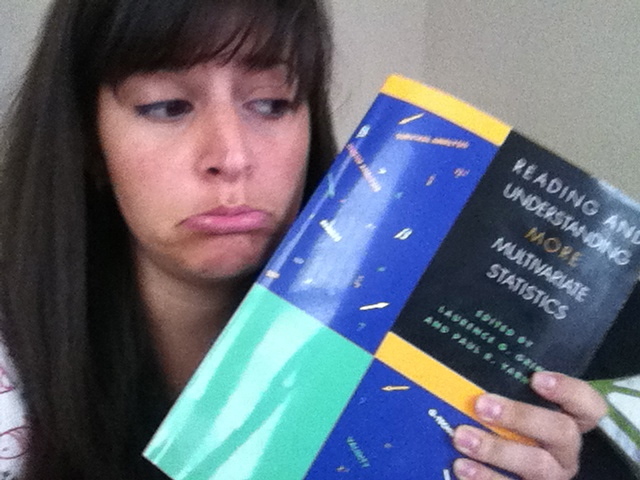 sad face because stats are not my forte and I am ready to chow down on some chickpeas!